It's day 3 of our stay at the beach, and we are so relaxed. Wake up, eat, lay on the beach, take a dip in the pool, eat, lay on the beach, get in the hot tub, eat, read, talk, eat, sleep. Seriously - this is the life. Caleb and I have had a couple of hard weeks with work and other things, so it's been great to get away from it all and just enjoy ourselves. As much as I love cooking, it is nice to have those hours of my day free again! I had asked my mother-in-law if she wanted me to cook anything ahead of time to bring, and all she wanted was this bread. 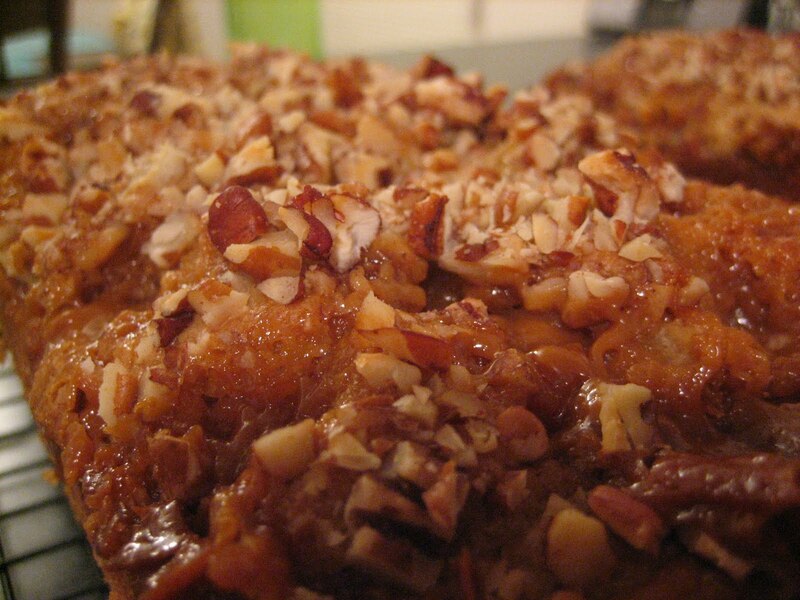 In large bowl, combine the flour, sugar, baking powder, baking soda, and salt. In medium bowl, mash the bananas. Add the eggs, melted butter, yogurt, and vanilla and combine well. Lightly fold the wet ingredients into the dry mixture until just combined. Don't overmix. Pour batter into greased 9-inch loaf pan. 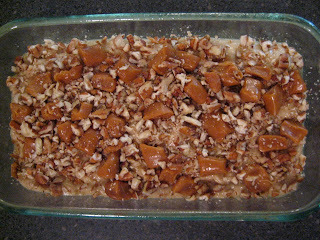 Sprinkle the chopped caramels and chopped pecans over the top of the batter. Bake at 350 degrees for 50-60 minutes until bread is golden brown and toothpick comes out clean. How nice to have a relaxing time at the beach! That bread looks wonderful. 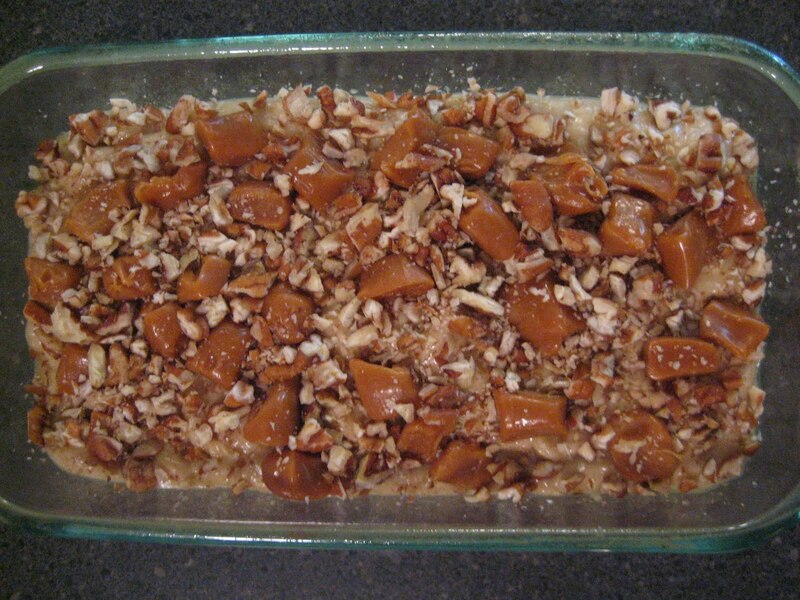 I'd never heard of banana bread with caramel. Yummy! I wanted to invite you to share your bread or any recipe you'd like at These Chicks Cooked Recipe Spotlight. I post it every Wednesday but last week's link is still open if you feel like sharing now. Enjoy the rest of your beach time! Wow, that sounds so good!! Enjoy the beach, I'm super envious! YUM!! It looks delicious!! Hope y'all are having a great time. I love y'alls header pictures...so cute! Thanks for sharing, you're wonderful!